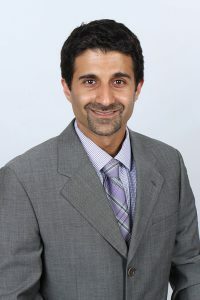 Dr. Jamil Sowan is a graduate of the prestigious Columbia University College of Dental Medicine, an Ivy League institution and one of the oldest private dental schools in the country. While there, he obtained an advanced education in general dentistry, as well as training in oral sedation and implantology under the guidance of world-class faculty members. During his residency, Dr. Sowan enjoyed working with adults and kids and spent most of his rotations in the pediatric clinic. Dr. Sowan is certified in pediatric and adult oral conscious sedation, he received his Doctor of Dental Surgery degree from the Voronezh State Medical University in Russia. In his nearly 20 years of private practice, Dr. Sowan has continually furthered his education in the field of dentistry through monthly courses and various dental conferences along the East Coast. 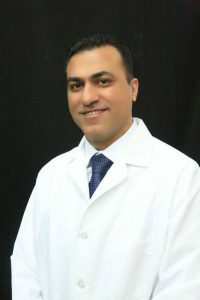 He is also a member of several dental organizations, including:The American Dental AssociationThe Virginia Dental AssociationThe Northern Virginia Dental SocietyThe Jordanian Dental AssociationBecause of his unique background and fluency in English, Arabic, and Russian, Dr. Sowan has been able to volunteer his skills overseas to provide needed dental care to people in refugee camps. In his state-of-the-art dental practice, he is dedicated to improving smiles and providing every patient with quality, affordable dental care in a personal, caring and comfortable environment. He considers his co-workers and team to be his family. Outside the office, his hobbies include chess, soccer, photography, and hiking. Every child deserves an individualized approach for their dental care to reach optimal oral health for life. Dr. Merdad’s training in both dental public health and pediatric dentistry helps him to achieve this goal. He always aims to connect with his patients and their parents so he can help the children to have fun, positive dental experiences that will promote their oral health.Dr. Merdad graduated from the Boston University Henry M. Goldman School of Dental Medicine with a Doctor of Science in Dentistry degree in dental public health in 2011. He then pursued his residency training in pediatric dentistry at the University of Medicine and Dentistry of New Jersey, which he completed in 2012. After that, he taught pediatric dentistry as an assistant professor at the University of Detroit Mercy School of Dentistry until 2014. He then moved to northern Virginia, where he has been practicing as a pediatric dentist ever since. He is an active member of the American Dental Association, the American Academy of pediatric Dentistry and the American Association of Public Health Dentistry. He is also American board-certified in both pediatric dentistry and dental public health.